Park Schreck Gallery is pleased to announce the upcoming show Everything Encaustic, with an opening reception on Friday November 2nd, 7-10pm. 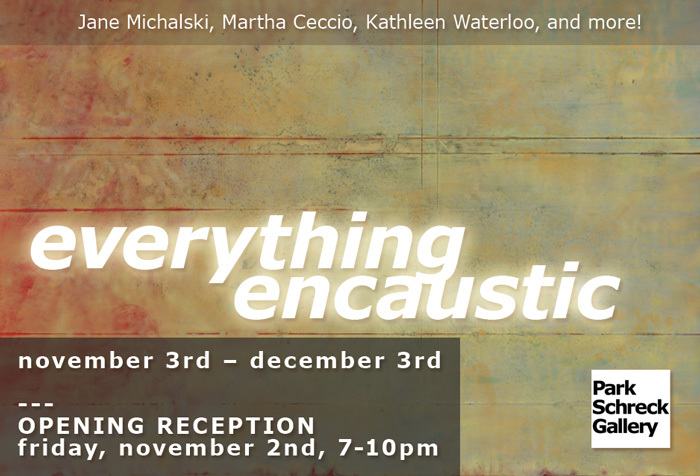 Everything Encaustic will be a visually stimulating new show featuring artists working in encaustic painting. This technique involves mixing pigments in heated wax which are then applied to a surface. This art form has been used for centuries and may even date back to the Egyptians!